This range is made from high quality rubber wood that looks far more expensive than it's price tag suggests. The Cleo Nest of Tables consists of three nesting tables offering you all the space saving benefits needed for the modern home. 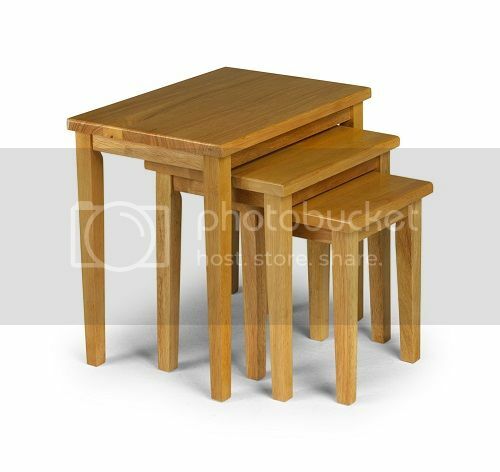 The table is built from solid timber with a light oak finish. Largest Table which is 46cm h x 48cm w x 33cm d.
Please also note that this is a doorstep delivery only!